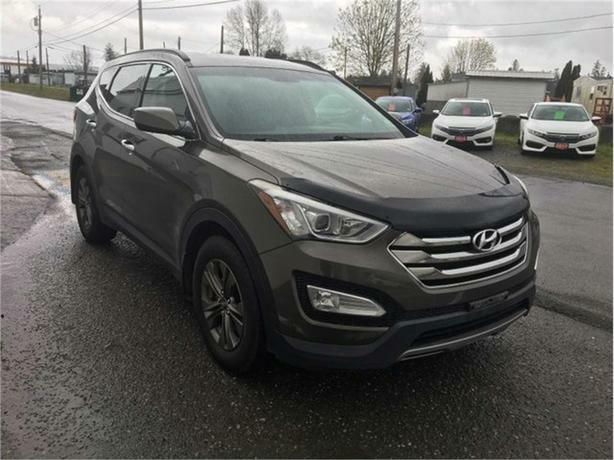 This Santa Fe is in excellent condition! It's only had one previous owner, it's never been in any accidents, and was was kept locally on the island! The Santa Fe offers a higher ride, utility, and comparability. Not to mention it offers some really cool features such as parking sensors, a heated leather wrapped steering wheel, power adjustable seating, and so much more! Power Locks, Power Windows, Power Mirrors, Bluetooth, Cruise Control, 8 Way Power Adjust Driver's Seat, Heated Seats, Leather Wrapped Heated Steering Wheel, Parking Sensors, and so much more!